What makes Amazon.com different is that they are not only offering an online platform, but also an integrated logistics system. Ship your bulk cargo to one of Amazon’s warehouses and they take care of the rest, sending your items to your final customers. But that’s only the easy part. Assuming you are buying from China, or any other country outside the United States, you need to get your cargo from a factory floor far away, to an Amazon warehouse. That is often easier said than done, and much can go terribly wrong. So, we did what we usually do when we don’t have all the answers. We asked an expert. In this article, Kathy Rinetti, Customs Manager of Flexport.com in San Francisco, explains what importers must know about shipping and logistics when buying in China and selling on Amazon.com. She also explains how non-US businesses can start selling on Amazon. I bring over 20 years of international trade experience with emphasis on compliance and customs clearance. Prior to joining Flexport, I helped define the U.S. Customs classification logic for two leading international trade software companies. At Flexport I focus on combining compliance with customer service to make importing a painless process. Flexport helps importers navigate shipping and importing using an innovative software solution. Clients are notified when documents are needed and of their shipments’ statuses every step of the way. Is it possible to have cargo forwarded directly to an Amazon.com warehouse, from the Port of Destination in the United States? It is important that the Amazon warehouse’s contact information be included because they usually require appointments for shipment deliveries. If this info is missing or inaccurate, it can delay the delivery of the product. What are some tips for shipping to an Amazon warehouse? After a shipment is cleared through U.S. Customs, importers will need to make an appointment with their Amazon warehouse and update them on the delivery timetable. Appointments are required, but they also take 2 – 7 days to be confirmed once they are requested, and they cannot be changed. In addition, it’s important to maintain your levels of supply in the Amazon warehouse. Amazon determines which vendors with the same product are given higher status by monitoring each vendor’s stock of goods, and if you do run out of stock for popular items, Amazon can and will ask your competing vendors to carry those products going forward. Should importers selling on Amazon.com select any particular Incoterm? Importers should negotiate DDP (Delivered Duty Paid) terms because everything in regards to costs would be settled prior to the shipment’s delivery at the Amazon warehouse. The shipper and the importer would thus not have to worry about any delays that could result from paperwork and clearances or pending payments. Should the warehouse address be declared on the Bill of Lading or any other shipping document? The warehouse address and contact information must be included as the consignee on the house bill of lading. Are there any labeling requirements that US importers selling on Amazon.com should be aware of? Amazon warehouses may have special instructions regarding labeling and organization of products. This information can be found here. In addition, by federal law, all goods must be marked with the country of origin. For example, goods originating in China should be marked “Made in China.” The marking must be legible and permanent enough for the ultimate purchaser to be made aware of the goods origin. More details about labeling requirements can be found here. We also receive inquiries from non-US based companies planning to sell products on Amazon.com. Is it possible, as a foreign entity without a local presence, to import items into the United States and sell on Amazon.com? A foreign-based company can apply for a Customs assigned number which will allow them to import into the US. It’s a requirement that a foreign importer designate an agent for service or process. This number can be obtained by filling out a Customs Form 5106 and submitting it to Customs, or by having a Customs broker do it electronically on their behalf. Once the company has a Customs assigned number, they will be able to obtain a Customs bond and import into the U.S. under that bond. Want to learn more about US customs regulations and procedures? Click here to find out more. In this second part of our series on Buying in China and Selling on Amazon.com, we dissect Amazon’s Seller Performance Targets. Amazon.com use various signals to determine whether a seller is reliable. Sellers failing to meet these targets have their seller privileges removed. Amazon’s official policy also states that sellers who have ever had their seller privileges removed, are not allowed to open new seller accounts. Saying that the stakes are high would be an understatement. In this second part, we take Amazon’s Seller Performance Targets one step further. Your success, or failure, in meeting these Seller Performance Targets is directly dependent on how you manage your purchasing strategy – before, during and after production. Without a well laid out importing strategy, your days as an Amazon.com seller are most likely numbered. What Are ‘Amazon’s Seller Performance Targets’? In this article, we explain why you need to implement a comprehensive strategy to meet these targets. Amazon.com calculates the number of orders, return due to a cosmetic or functional defect, divided on the total number of orders. All Amazon sellers are requested to ensure that not more than 1% of the total number of products are returned due to defects. If the defect rate exceeds this number, for an unspecified amount of time, you may have your account suspended – temporarily or permanently. Maintaining a lower than 1% defect rate is not a walk in the park, especially when importing from China and other Asian countries. In China, it’s not uncommon that the defect rate exceeds 2 to 3% when buying from a “reliable supplier”. If you fail to implement a proper Quality Assurance strategy, and make a supplier selection without prior research, you may receive batches with a much higher defect rate. Defect rates of 40 – 60% are not uncommon, and in some cases, the entire batch is defective. Many importers request their freight forwarders to transport their cargo directly from the Port of Destination, to an Amazon fulfillment warehouse – without passing the importer’s own premises. It saves time, and money. However, as a result, the importer is not able to check the items before they are stocked in an Amazon warehouse, and is therefore not able to remove defective items. If you, at this point, would fail to meet the order defect rate of 1%, you may have your account suspended. This puts huge pressure on the importer to ensure that the ODR is below 1%, before the cargo is shipped from China. Luckily, there are various Quality Inspection companies present in China, ready to send their inspectors to your supplier’s production facility and inspect your products prior to the shipment. At least, this will dramatically decrease your risk of shipping an excessive number of defective units to an Amazon warehouse. However, a Quality Inspection is not a way to prevent defects from occurring in the first place. Limiting the number of defects to less than 1% requires both that you first select a “qualified supplier”, and secondly, implement a strict quality assurance procedure. As you can tell from the name, the purpose of a Quality Assurance procedure is to prevent the defect rate from running up in the first place. A Quality Assurance procedure is often a useless exercise, if the supplier is unable to comply with your quality requirements, and US product regulations. As a matter of fact, most suppliers in China are not able to manufacture products in compliance with US regulations. Compliance with Consumer Product Safety Commission (CPSC) regulations is required by law, and referred to Amazon’s Sales Terms. Failing to comply with all applicable product regulations will not only result in your account being suspended, but also heavy fines and a forced recalls. The problem importers face is that most Chinese suppliers are not even aware of US product regulations, such as CPSIA and California Proposition 65. In many industries, not more than 5 – 10% of the Chinese manufacturers and trading companies are, for various reasons, able to comply with American and European product standards, substance and safety regulations. Thus, verifying that a supplier has previously manufactured compliant items is a first and highly critical step of your Quality Assurance process. That is, of course, also assuming that you are already aware of which regulations apply to your product. If not, you need to take a step back and confirm this too or hire a professional to do this for you. Whatever path you choose, never rely on your supplier to know what standards apply to your products. Now that you’ve found one or more suppliers able to show previous compliance with all applicable product regulations (e.g. CPSIA), you can start looking into whether the suppliers are able to comply with your quality requirements. All suppliers are not created as equals. In manufacturing, there are technical limitations. Some suppliers are able to reach your quality requirements, while others are not. The only way to verify such capability is by ordering product samples, manufactured according to your product specifications. Now that you’ve found the right supplier, you can just sit back and watch the money roll in. Not at all. Even if you do manage to find “the right supplier”, you must still implement a strict Quality Assurance process. Chinese suppliers are accustomed to manufacture products according to the buyer’s product specifications. They are not acting as design studios or offer free product development to prospective buyers. Instead, they expect all specifications to be provided by the buyer. There’s no universal product specification template that is applicable to all products. Drafting a comprehensive product specification is only the beginning. As mentioned previously in this article, you need to verify that the supplier is able to comply, by ordering product samples. It’s common that suppliers fail to comply with one or more specifications. Some suppliers get it right after a few revisions, while others are simply not able to comply. If the latter is true, you must move to the next one. The product specifications, which defines all aspects of your product, shall then be confirmed by the supplier. The best way to do this is by making the supplier sign a Sales Agreement, prior to production. You shall also make the supplier aware of future quality inspections and lab testing, as this shows the supplier that you are able to verify compliance with both product regulations and your own quality requirements. Chinese suppliers are much more likely to comply with your requirements, if they know that they got something to lose by non-compliance. It’s rather frustrating to purchase an item only to have the order cancelled a day or two later, due to the seller’s failure to maintain a sufficient quantity in stock. Maintaining a certain quantity of products may not sound like much of a challenge. It may not be, if you are manufacturing domestically, but buying from China requires serious planning. The target set by Amazon is only 2.5%. One late container shipment could quickly result in in the fulfillment cancellation rate running way beyond the set target. Keep reading, and I’ll explain why importing from China takes months, rather than weeks. What you see on Alibaba.com, and other B2B supplier directories, are not off the shelf items ready to be shipped to customers worldwide by tomorrow. What you see is images of previous products, manufactured by the supplier, for various buyers. These are references, showcasing a supplier’s capability. That said, there are of course wholesalers in China, as in every country, but off-shelf products sold wholesale are never manufactured in compliance with CPSC, and other US product regulations. Instead, such products are primarily made for the domestic Chinese market. As a result, buying wholesale is rarely an option, and especially not when concerning electronics, toys and cosmetics. By the time you make the initial deposit payment, your products are yet to be made. In fact, your supplier is most likely yet to purchase the materials and components, from their subcontractors, used to make your products. Mass production takes anything from 10 to 50 days, depending on the product, its complexity and quantities. Keep in mind that Chinese manufacturers rarely begin production before they’ve received your deposit payment (30%). In most cases, the payment takes 3 – 5 working days before arriving. After the production is completed, it’s time to send in the Quality Inspection agent. This will at least cause a delay of one to two working days, assuming everything is fine and there’s no need for remakes or repairs, in which case the shipment could be delayed for another month or two. You may also need to verify that your items are compliant with the applicable product regulations (e.g. California Proposition 65). As of today, compliance cannot be verified on site by a Quality Inspection agent. Instead, you, or the inspector, must submit batch samples to a product testing laboratory, such as SGS or Bureau Veritas. It usually takes 7 to 12 days, before the test results are back. Keep in mind that you are not able to move the order forward while the quality and regulatory compliance of your products is verified, as the balance payment (70%) shall be withheld until this is confirmed. If you do pay before this phase is completed, you remove every incentive for the supplier to remake defective items, in case of non-compliance. The main factor, related to the shipping time, is naturally the mode of transportation. Air Freight is the fastest way to move your cargo from China to the United States. However, Air Freight is rarely a cost effective option when importing more than one or two cubic meters of cargo. Instead, you will most likely need to have your cargo shipped by sea. The shipping cost per unit is low but takes much longer to arrive. The freight time, from Shanghai or Hong Kong, to Los Angeles, is roughly 21 days. Add on another 10 to 17 days if you’re shipping to the East Coast. Then you must also take transit time, in both the Port of Loading in China and the Port of Destination in the United States, into consideration. Loading, unloading, inspections and customs clearance may take another 3 to 7 days. That’s in each port, so you must multiply this number by two. In total, you’re looking at 19 to 114 days, counting from the day you place an order before the products are in stock and ready to be shipped out to customers on Amazon.com. However, that assumes that you don’t run into any delays. Talk to any experienced importer, and you’ll quickly realize that delays are more the rule than the exception, when buying from China. Delays are a serious risk that could result in your Amazon seller privileges being removed. Below we look into the most common causes of delay in China. Quality issues are the most common, and disastrous, time killer. Quality issues are common in China. Very common, when involving inexperienced importers, failing to implement a comprehensive Quality Assurance process. There are various types of defects. They may be cosmetic (e. g. Scratches) or functional (e.g. Dead pixels). If your appointed Quality Inspector finds that the defect rate exceeds 1%, the ODR target set by Amazon, your supplier must repair, or remake the products. This process may take anything from a few days, to one or two months, if the defect rate is severe. In case of miscommunication between you and the supplier, the entire batch may be defective, thus forcing the production to start all over again. Assuming your products would fail to pass compliance lab testing, you are also facing a situation where the production must start over from zero, thus causing huge delays. It’s rarely possible to repair, or by any other means, ”make” a product compliant, as product regulations often refer to certain substances (e.g. Lead, cadmium and phthalates) which cannot be extracted from a finished product. The only way to reduce your exposure to quality risks is by implementing a strict Quality Assurance process. In many cases, miscommunication between the importer and the supplier is the main cause of quality issues, rather than the supplier attempting to cut corners (although that is not rare either). The Chinese New Year (CNY) is a joyful time when migrant workers and white collar workers alike, spend time with their families. For some, it’s the only time of the year to spend time with their family and friends. Sometimes, even their own children. For Amazon sellers importing from China, the Chinese New Year is a time of distress and missed deadlines. I remember my ”first” CNY in 2009. Chinese suppliers often stop accepting orders in late December. An order placed in January is most likely not finished until late March, or even April. The Chinese New Year is not the only holiday you should plan ahead for. There are other, although shorter, holidays throughout the year, including the ”National Week”, when all workers are off duty during the first week of October. A Product Development process is always necessary whenever a change is made to a product. Regardless of whether you want to test an entirely new design, or change a color or logo, new samples must be made. Additional tooling may also be required. The supplier may also need to make a few revisions before they get new product samples right. What I’m trying to explain is that product development takes time, and it’s very hard to set a specific deadline. Changes to your existing designs shall be made separately to the order flow, as you can never be sure whether a new design or modification will take one month, or several, to implement. Many importers attempt to set artificial deadlines, which is often useless. Product development takes time, and as said, never let this interfere with the regular product flow. The Late shipment rate is related to the order cancellation rate. Amazon is more forgiving when it comes to late shipments, allowing a 4% rate. However, you could rapidly exceed this rate due to delays caused by your Chinese supplier. In this third part of our series on Buying in China and Selling on Amazon, we guide you through Amazon’s Product Guidelines, which are part of Amazon’s Seller Policy. In part, these terms refer to US product regulations and compliance, but also other, non-regulatory requirements sellers must meet in order to participate. In this third part, we explain Amazon’s terms for CPSC product compliance, defective products and counterfeit items. As always, we also explain how each term relates to the risks involved when importing from China, and other Asian countries. Compliance with applicable US product regulations is never optional, regardless of whether or not the items are sold on Amazon.com. However, Amazon’s Seller Policy is explicitly referring to these regulations, clarifying that compliance is the sole responsibility of the seller. 2. It’s often complicated to determine which regulations (often more than one) apply to a certain product. 3. Ensuring compliance often requires product testing, which is costly. Ensuring compliance is critical, not only for Amazon sellers, but all importers. At best, non-compliance results in a forced recall. However, you may also be forced to pay millions of dollars in damages, in case someone is hurt, or if the property is damaged. Before you get started with your imports, you must first confirm which regulations apply to your product, and then limit your supplier selection to those who can prove that have a verified compliance record (e.g. previous test reports, certificates and American buyer references). In addition, Amazon also requires the seller to comply with all applicable labelling requirements. These labeling requirements are often part product regulations, such as the CPSIA. 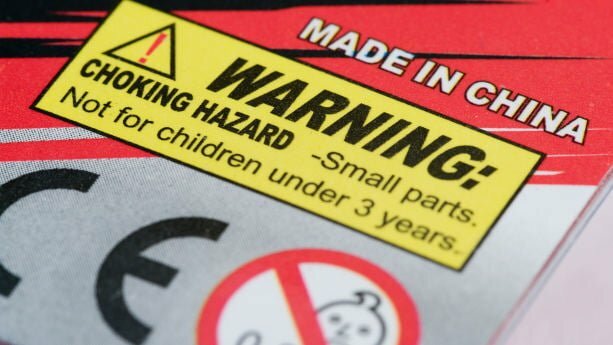 Amazon.com provides templates, that enables sellers to add warning labels (e.g. Choking Hazard Warnings) directly to the product page. Item is prohibited for sale on Amazon.com. As any reputable marketplace, Amazon.com has set certain product requirements the sellers must fulfill. At a glance, these requirements may seem rather simple and easy to comply with, but things always tend to get a lot more complicated when importing from China. Keep reading, and I’ll explain what you must know about defective items, damages, and counterfeits. It’s impossible to completely avoid quality issues when importing products from China. That said, the severity and rate of these defects can be effectively reduced, and controlled, by implementing a comprehensive Quality Assurance (QA) strategy. It may sound like a monumental task, too big for any small business to implement. In fact, QA is not as complicated as it may seem. What truly matters is that you implement a QA strategy from the very beginning, and not only in the later stages of the process. Click here to read more about avoiding defect and damaged products when selling on Amazon.com. Apart from Quality Issues, transportation damages is another major risk. Many Chinese suppliers lack internal export packaging guidelines. As a result, many suppliers use cheap and substandard export packaging, thereby vastly increasing the risks of transportation damages. During transportation, your cargo must be able to withstand heavy pressure from other cargo (especially when shipping LCL), shocks, humidity, and liquids. This area is tricky. I think most of you understand that importing fake Gucci bags is not a good idea. However, things are not always as clear cut as obvious fakes VS original designs. How do you know if that stainless steel coffee pot is an original design, or a replicate of some obscure Danish design company you’ve never heard of? There’s a reason Chinese manufacturers aren’t famous for being the worlds leading innovators. The items you see on sites like Alibaba.com are generally referenced products – either based on the products ordered by previous customers, or products that are more or less “inspired” by other brands. That said, some Chinese manufacturers also develop their own designs, but I dare to say they are a minority. In fact, we’ve had a few cases when our clients’ products turn up on a suppliers Alibaba.com page. Luckily, Alibaba.com has become much better at acting against IP infringements. But, Alibaba.com, and other B2B supplier directories, can only act if they the infringement is reported. You can’t fulfill an order. The customer doesn’t receive your order. The customer returns an item. The customer files a credit card chargeback or an A-to-z Guarantee claim. The customer requests you cancel an order. The buyer is unable to receive the order at the address provided. There are various reasons you are forced to refund a customer. Below I explain what you must know about the two most common reasons. A customer is not always returning products due to defects or damages, even though quality issues are very likely to result in a high return rate. 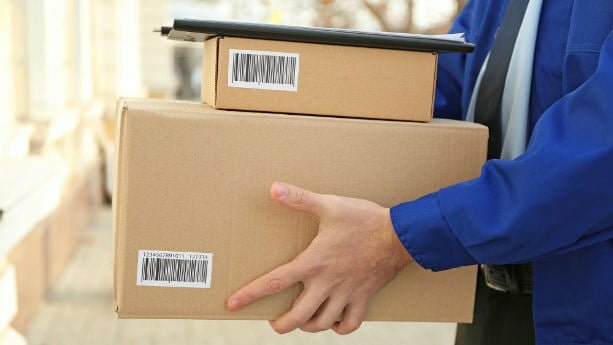 However, managing quality issues is already covered in this article, so let’s look into how you could end up in a situation where you fail to deliver orders. In order to avoid a situation where you fail to deliver the products, you need to maintain a sufficient quantity in stock. This is often easier said than done. For natural reasons, importers want to avoid excessive inventory. On the other hand, lead times to restock are long, and prone to delay. Chinese suppliers rarely keep products off-shelf, and certainly not products compliant with US product regulations (e.g. California Proposition 65). Your items must be manufactured before they are shipped, a process which usually takes 30 to 50 days, largely depending on the quantity and complexity of the product. Then the cargo must be shipped from China to the United States, adding on another 20 to 35 days. In total, you are looking at 2 to 3 months, before the items are restocked, counting from the order date. However, that is assuming you face no delays whatsoever. But delays are common in China. Maintaining sufficient inventory is complicated, and requires very serious planning. It’s also a critical Sales Performance signal, that has a great effect on your ratings on Amazon.com. Click here to read more about how you can avoid delays when importing from China and selling on Amazon. Amazon’s terms are not limited to the products, but also specify strict requirements for product packaging. In most product categories, the packaging requirements are related to whether the item is marketed as new, used or refurbished. Also, even if not explicitly referred to in the Amazon.com Participation Policy, all US packaging regulations, and labelling requirements, are applicable. Before you place an order, you need to confirm which apply to your products, and verify the supplier’s previous compliance record. I’m just about to set up my ecommerce business on Amazon so this is very timely. It wasn’t clear to me whether we need a freight forwarder based on the article above. If we arrange a freight forwarder under DDP terms, will the frieght forwarder clear and cover all the shipping and customs costs and deliver the goods straight to the factory or does the supplier deliver directly to Amazon? If the supplier delivers direct to Amazon, does the importer need to be in the US to inspect the goods before delivery? I’m going to set up my ecommerce business on amazon as well. As i can see, you asked this question almost 2 years ago. I really want to learn how you did some things during this project. Can i contact you? I am not sure what you refer to with “deliver the goods straight to the factory”? My mistake. I meant to ask whether the FF delivers the goods to their US based warehouse and then we arrange for DHL/FedEx to deliver from the US based warehouse to Amazon’s warehouse or if the importer should ship the goods direct from China to Amazon’s warehouse without using a FF. The cargo must pass through customs and will be stored in the customs brokers / freight forwarders warehouse for a few days. However, from here, the cargo can be directly forwarded to an Amazon warehouse. Yes, in proximity to the port. Notice that the unloading areas are restricted, and access requires authorization. Thus, you may not pick up cargo directly from the container storage area. befor everything … I d like to know How can I pay customs if I m in Mexico .. I d like to send some goods to Germany.. Is this bussines possible for me? It is always the importer that pays the import duties. In this case, the German company will pay the duties, rather than your company in Mexico. oh I was not clear, I´d like to send Yoga Mats straight to Amazon warehouses in Germany , so I know its me who pays customs .. I don´t know how to pay or transfer.. Maybe I Have to use a customs broker? or there is any transporter able to take in charge customs fees? Very interesting. I assume they still bring the cargo to the United States upon delivery to the Shenzhen warehouse? I am an Australian working on a shipment to USA where I am sending shipment to Freight Forwarder/Customs Broker. I am the Consignee with my US tel# and using the Freight Forwarder/Customs Broker address. The FF will then place the pre-paid Amazon labels on the shipment and UPS will pick for Amazon Warehouse. The shipping company in China are saying that I can be the Consignee but must use Australian address and TN. What do you think? If using freight forwarder, must commercial invoice be issued by him than supplier since he is now the one who ships/exports from China? I know that commercial invoice must be send to freight forwarder but must he revise commercial invoice? Or must supplier still appear as shipper/exporter but freight forwarder will now appear as importer? Is it important that supplier (seller of goods) be indicated in commercial invoice separately from freight forwarder (importer)? Sorry for the late reply. I am quite sure that it’s the shipping company that issues the Commercial invoice, based on information provided by the supplier. The freight forwarder is never the importer, as that would force them to pay duties and other taxes (if any). The shipper is the supplier, and the consignee is the importing entity. Yes, the freight forwarder is not specified as seller on the CI. This matters, because local tax authorities (in your country, not China) want to see that there is documentation supporting a transaction, if there would ever be an audit (that said, they don’t actually check transactions at point of entry). Perhaps you are mixing up freight forwarder with export agent? In the case of using an export agent, the payment beneficiary / shipper is actually not the supplier, but the export agent. I would like to tell about Company X [EDITED] – this company is cheating peaople… When you are making order everything is ok – until you will get product- half of this and before shipping seller is asking about more money for shipping costs. Cathy from this company cheat me for few hundred $ . Don’t trust this company – I don’t know how they can be on alibaba market…. You should report this company to Alibaba.com. They take these things seriously, but without you reporting them – they don’t know what’s going on. I had a Few question to ask . Hope you can help me. 1) Which Specified freight forwarder we can contact ? 2) If we send from Hong Kong to USA , Have any extra charges we need pay ? 3) Please confirm us if we ship this products via Sea freight forwarder under 20’CY Container or 40’CY Container , have anything we need to do ? 2. Yes, you need to pay shipping costs, import duties and taxes in the US. We have a guide for shipping to the US here. 3. Well, you need to share supplier contact details to the forwarder.. but they should guide you. Further Amazon have their own labeling requirements.